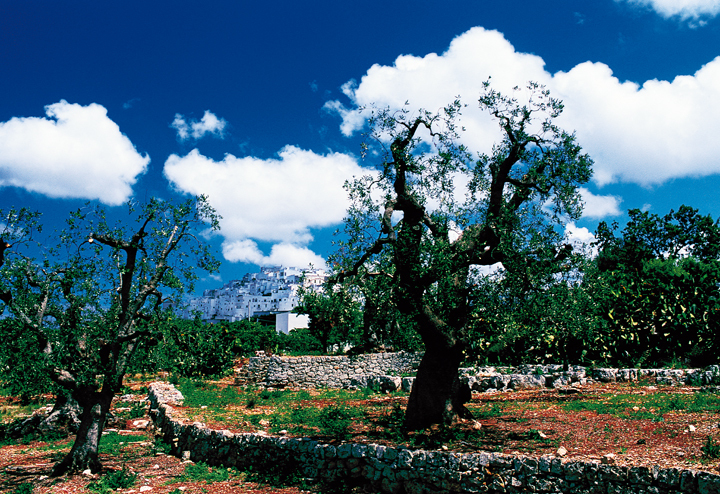 The brilliant white town of Ostuni has attracted visitors for centuries but has always been considered a little off the beaten track. That all looks set to change. Down on Italy’s heel, Puglia has never been on most people’s holiday radar although popular with Italian families who come here to relax, eat good simple food and generally get away from it all. A sort of antidote to la bella figura. It has a chequered history, either being fought over by the Greeks, Romans, Byzantines, Longobards, Arabs and Normans, or simply being left to its own, mainly agricultural, devices. Now, Puglia has seen dramatic growth as a potential southern counterpart of Tuscan Chiantishire, fuelled by Ryanair’s cheap flights to Bari and Brindisi, the lure of its incredible architecture and unique, vibrant culture. It is easy to see why the region has become popular for overseas buyers. 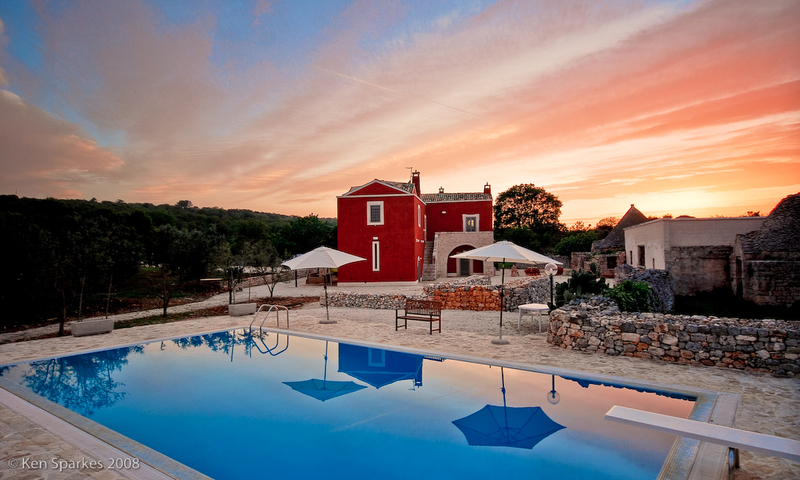 Masseria Cupina was built in 1780 by a Taranto nobleman for his only daughter when she fell in love with a local farmer. 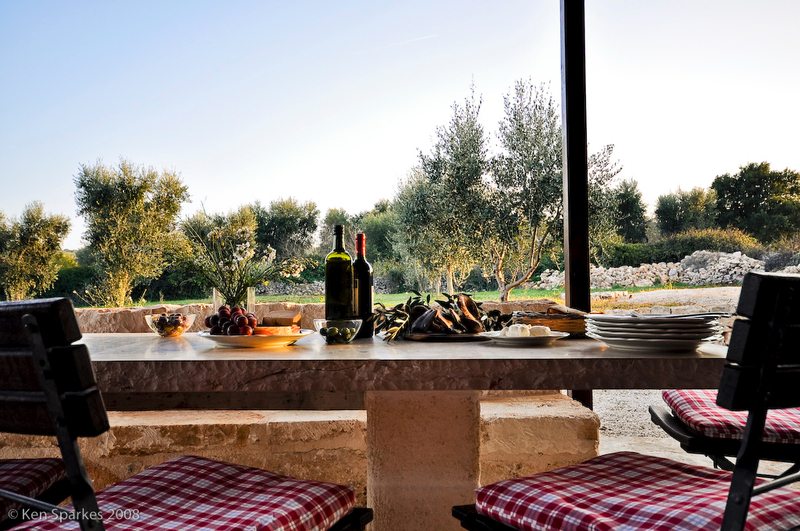 The house was a ruin, but that didn’t put off Helena Winter who had been looking for a villa in Sardinia but fell in love with Puglia – and the prices were more affordable. We think Puglia is one to watch. But don’t wait too long before you visit. The welcome is warm, the food is wonderful and you may find a lot more there than you bargained for. Words & Photos: © 2006 Ken Sparkes. First published by Spaces, Sept 2006. All Rights Reserved.